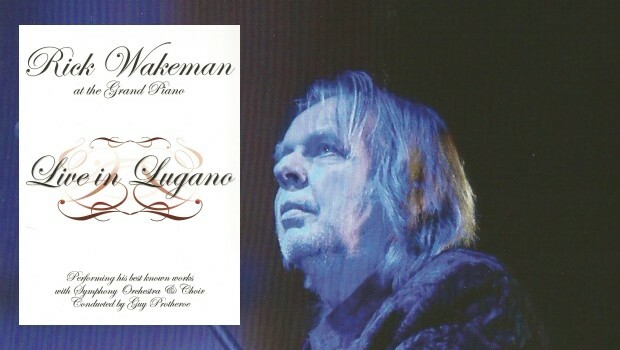 Today seems to be as fitting an occasion as any to upload this review of Rick Wakeman’s 2009 concert from the city of Lugano located in the south of Switzerland. The footage was filmed as part of the Lugano Estival Jazz on 2nd July 2009, with Guy Protheroe conducting the Orchestra Della Svizzera Italiana and accompanied by members of the Coro Clairière Del Conservatorio choir. This particular open air concert took place during the early part of the evening and was originally shown on Swiss television. 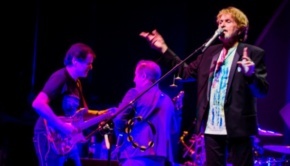 The Lugano jazz festivals have run since 1979 and have attracted some of the greats from across the jazz, world, blues and rock spheres – Miles Davis, Keith Jarrett, Herbie Hancock, BB King, and Chick Corea to name just a few from the 300 plus names who have performed across the years – along with a certain prog combo called Yes who appeared in 2004. I doubt there’s any introduction necessary to Rick Wakeman, or his music, within progressive circles, so I’ll dispense with the formalities. Rick enters the stage and is promptly seated at the grand piano. Considering the logistics of assembling an orchestra and choir on this stage the overall sound quality is good. The choir, who look particularly cramped for space, are a little “down” in the mix to start off with, but still audible. Unlike Rick’s microphone which I’m assuming was only turned on in the monitors, so after a brief (inaudible) introduction the gathered ensemble launch into a twenty minute representation of The Myths And Legends Of King Arthur And The Knights Of The Round Table. Rick’s piano playing is superlative, never ceasing to amaze and within this setting it is possible to imagine that had he not followed the path he did, that he may well have enjoyed a long career as a concert pianist. Gone But Not Forgotten taken from the Cost Of Living (1983) album is delightful as is the version of Catherine Howard from still my favourite Rick Wakeman album – The Six Wives Of Henry VIII (1973). The orchestral arrangement, conducted by Guy Protheroe, is not only sympathetic to the piece but adds a different perspective to the track. The choir, replacing the mellotron parts is particularly enjoyable. Rick’s fondness for The Beatles has been well documented in his solo performances across the years and I certainly have a few versions of Eleanor Rigby in my collection. In this setting the combination of Help and Eleanor Rigby form yet another magic moment. As is the pared down version of After The Ball taken from the 1977 White Rock album. We return to The Myths And Legends Of King Arthur And The Knights Of The Round Table allowing Merlin to be played almost in its entirety. The DVD is chock full of highlights however the best is saved until the end and Journey To The Centre Of The Earth. Celebrating its fortieth anniversary this year, Rick takes us on twenty four minute journey exploring the main themes and splendour of this album. I remember seeing one of the performances for this album circa 1974, in Darlington (UK), so I have a fondness for JTTCOTE. 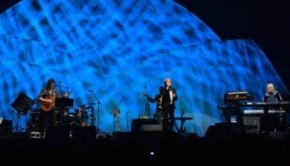 Concluding matters is a single encore in the form of The Jig taken from Cirque Surreal (1995) album and as the title suggests, a spritely tune to conclude the evening. Apart from Rick there are many solo spots for the orchestra, taking on the vocal passages and also some of the lead parts originally performed on the Moog. 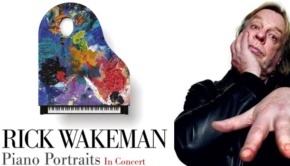 I apologise if I’ve briefly skipped over the music, but as I commented earlier, Rick Wakeman needs little introduction and his music speaks for itself. The very nature of which lends itself to an orchestrated setting and certainly this concert captures this. There’s an informal air to the performance that adds to the charm of this DVD. The orchestra and choir are not in formal attire, sporting black “staff” T-shirts, in fact Rick looks rather over dressed. The large number of performers and rather cramped nature of the stage do limit some of the camera angles and perhaps because of this there seems to be an over zealous use of camera editing. Personally a more static approach would have worked better. To be truthful however I’m not an avid music DVD fan, often finding it a distraction to the music, the plus here is that even without the visual aspect the concert stands on its own merits. 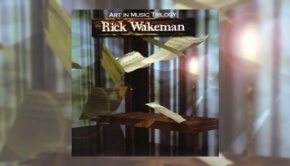 As well as being screened on Swiss television this concert also appeared on DVD a few year’s ago on the now no longer running Voiceprint label and under the title Classical Wakeman Volume 1 featured below. This new version has undergone careful re-mastering by Mark Powell (Esoteric Recordings) and features a re-designed cover and layout courtesy of Oliver Wakeman.